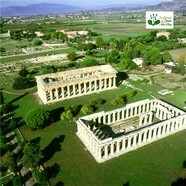 Cilento e Vallo di Diano National Park is the second largest park in Italy. It stretches from the Tyrrhenian coast to the foot of the Apennines in Campania and Basilicata, and it includes the peaks of the Alburni Mountains, Cervati and Gelbison and the coastal buttresses of Mt. Bulgheria and Mt. Stella.The extraordinary naturalistic richness of the heterogeneous territory goes hand in hand with the mythical and mysterious character of a land rich in history and culture: from the call of the nymph Leucosia to the beaches where Palinuro left Aeneas, from the ruins of the Greek colonies of Elea and Paestum to the wonderful Certosa of Padula. And everything else you can find in such an unexplored territory.